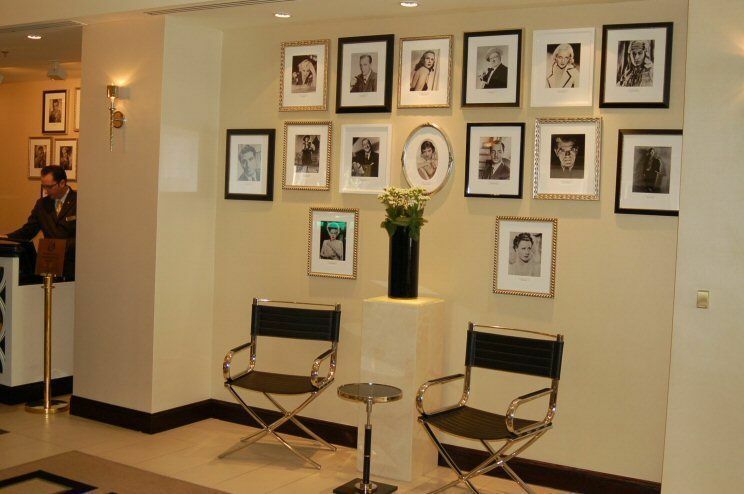 Rides and attractions, backlot tours, movie stars and a great hotel. Los Angeles, California's Universal City is sounding good and good value. It was home for 17 years to Telly Savalas, and has hosted stars that include Tom Hanks, George Clooney, Jennifer Aniston, B.B. King and Matthew McConaughy. It is also the “Hotel of the Pet Stars” for pet celebrities who often appear on popular TV shows. This place has hosted Gibson, the World’s Tallest Dog as well as baby tigers, leopards, monkeys and a giant sea turtle. The casual, chic, family-friendly Sheraton Universal, with themes and furnishings from the 1920’s through the 1940’s Regency style, is at once relaxing and stimulating, making it an ideal homebase for intergenerational families to stay and play. The newly refurbished 451 guestrooms include a three-floor poolside Lanai wing and 31 suites, plus a Shrek-themed suite to delight the younger set. Many of the rooms are connected, and roll-aways, cribs, and baby accessories are available. Children stay free with adults, and babysitting services are arranged through the Concierge. The hotel amenities include wireless internet throughout, the Link@Sheraton communications hub, a Club Lounge, an outdoor pool, and a 24-hour Fitness Center that features cardiovascular and weight equipment. Also offered is the Gym-in-a-Bag which contains fitness tools for exercise in the comfort and privacy of your guestroom. Sheraton is pet-friendly, so special amenities including in-room water and food dishes are available, and pet sitters/walkers are provided upon request. The hotel’s California’s Restaurant is overseen by Executive Chef Urs Balmer whose culinary delights blend local cuisine, international light snacks and elegant dining. Start the day with the traditional or healthy start light menus, or the Buffet. Casual lunches are served, and in the evening, the restaurant transforms to elegant dining with white cloths and candlelight. For a “date night” and an ultra romantic meal, the 40th Anniversary Prix Fixe Dinner is a sumptuous five-course event with the option of accompanying wines. The mouthwatering dessert of assorted truffles can also be delivered to your room. For the kids there’s the “Bright-Eyed Classic Breakfast”, and the “Dig In for Lunch and Dinner” menu of mini-burgers, gooey grilled cheese, tender turkey wrap, crispy chicken bits with a choice of carrot and celery sticks, fruit cup or French fries. If room has been saved for dessert, treats include Haagen-Dazs ice cream, low fat fruit or berry yogurt or a fruit berry cup. There is no dining charge for children under 5. 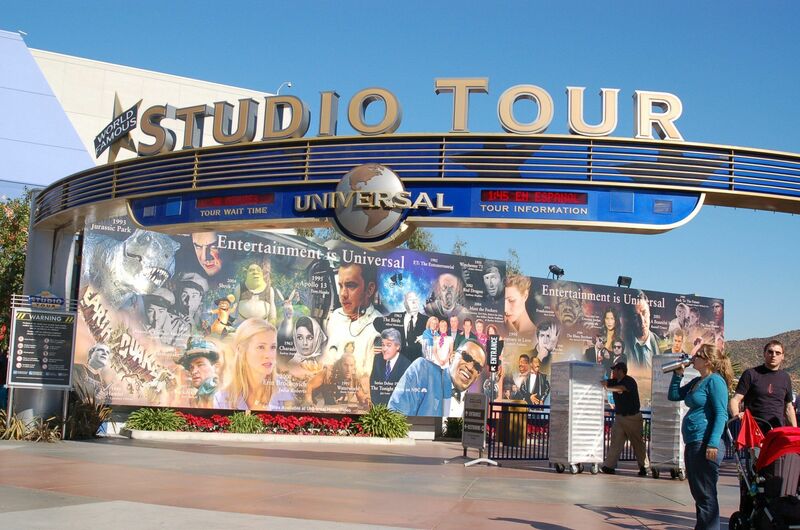 A complimentary shuttle service operated by Universal Studios runs every 15 to 20 minutes throughout the day from the Sheraton Universal entrance to Universal Citywalk and the theme park. The shuttle takes 5 minutes, but for those who prefer more of the outdoors it’s a 10-minute walk. This bustling Universal Studios Citywalk promenade (888/622-4455) features 65 entertainment themed restaurants, clubs, specialty shops and movie theaters with so much for all ages to participate in and enjoy. Everyone can take part in the Gospel Brunch at B.B. Kings, hear a concert at the Gibson Amphitheater, or rock out at the Hard Rock CafÃ©. Movie buffs can get a fill of first-run films at any of the 18 floor-to-ceiling screens at the AMC theaters, which also boast SoCal’s largest Imax 3-D theater. For the more daring, the thrilling new iFly Hollywood offers simulated skydiving. Just a year after fire damaged four acres of the movie studio lot, Universal Studios was able to re-open more of their iconic sets including Courthouse Square, Brownstone Street and an enhanced New York Street. The new locations will include a gas station, a firehouse, a London Street and most notably, a modern urban cityscape with glass and steel faÃ§ade structures. After the tour it’s time for action with the attractions. Among the favorites are the Revenge of the Mummy-The Ride, the spectacular new The Simpson Ride, with Homer, Marge, Bart and Lisa in an all new animated adventure; Shrek and Donkey, who take you on an exciting adventure with 4-D dimensions of thrills; and Jurassic Park-The Ride. Don’t miss WaterWorld’s spectacular tidal wave of stunts, explosions and an ocean of thrills. 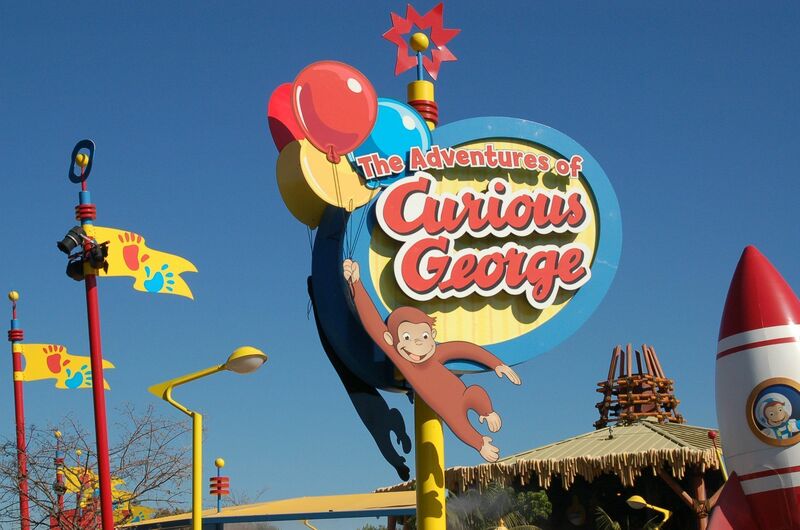 Especially for the little kids (and the young at heart), there’s monkeying around at The Adventures of Curious George. Soak up the thrills of a 500-gallon water dump and unleash thousands of flying foam balls in this wild play area. The park’s newest attraction: King Kong 360 3-D. This amazing production combines the imagination of Academy Award-winning director Peter Jackson with the latest technology. The massive sound stage encompasses an area larger than a football field and the two massive screens could fit the equivalent of 16 movie theater screens. The audience will feel the thrill of a multi-sensory show– this takes you beyond 3-D with visual, audio and physical cues. Admission will be included in the price of theme park tickets and annual passes. 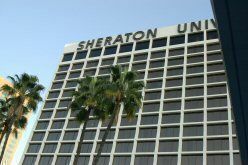 The Sheraton Universal (888/627-7186) is located at 333 Universal Hollywood Drive, Universal City, CA 91608. The hotel is four miles south of Burbank’s Bob Hope Airport and 24 miles north of Los Angeles International Airport. Contact them for information on special ongoing packages, seasonal and themed, as well as room and dining reservations. 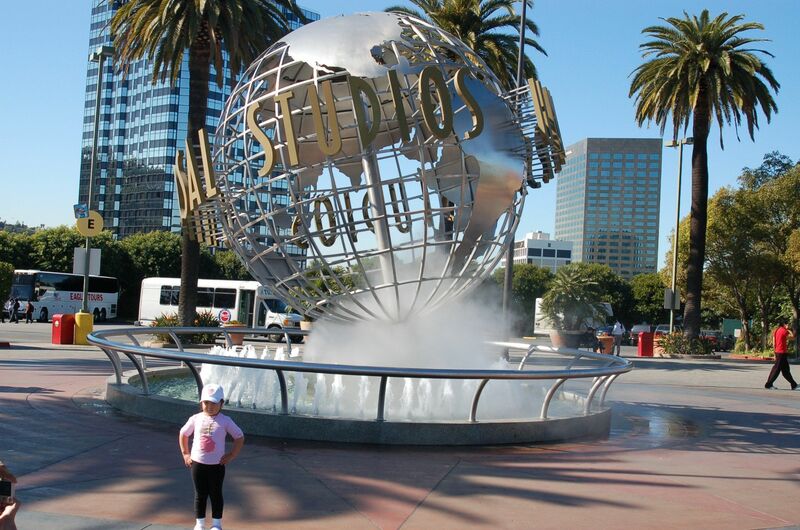 Citywalk Hollywood is located at 100 Universal City Plaza, and a short walk away, Universal Studios is located on Universal Studios Boulevard, both in Universal City, California 91608. At the main gate of Universal Studios you can purchase a special Front of the Line pass to all attractions and reserved seating at all shows. A Meal Pass is also available for purchase, and includes an entrÃ©e, a side dish and a dessert each time you go through a line at Louie’s Pizza & Pasta, Mel’s Diner, Jurassic CafÃ© and two seasonal restaurants, Doc. Brown’s Fancy Chicken, and Cyber Grill. Also available is a VIP Experience that gives you a private guided tour through a prop warehouse, working movie set and soundstage. Strollers and wheelchairs are available for rental for a nominal fee. Child Switch is a wonderful feature for parties with a small child. 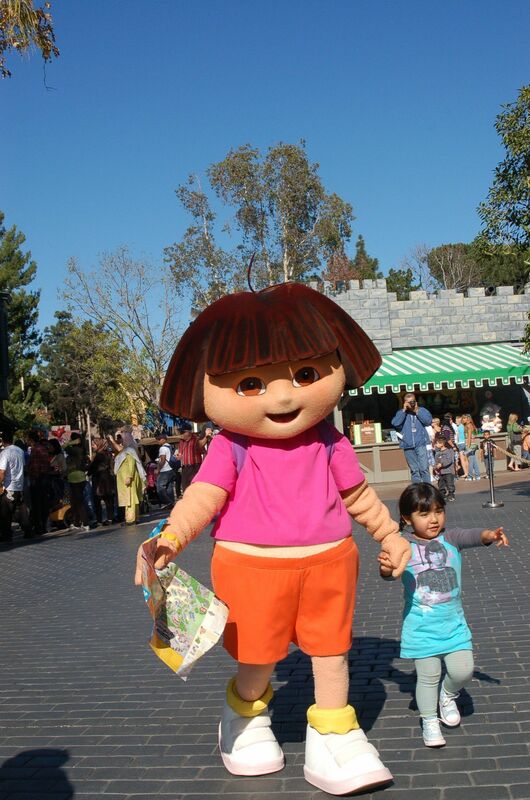 It allows one member of a party to remain with the child while the rest rides, then switches places so that the remaining adult may enjoy the ride as well. Check for the sign Child Switch for participating rides. I simply love the Sheraton Universal for a weekend getaway with my family. So close to everything and in the heart of Hollywood. For us it is the perfect choice for family travel. My kids love the Ultimate Star Burger bar. Building your own burger with all those great topping choices. What fun!